I haven't played the game yet but saw a few gameplay trailers and graphics looked so detailed and immersive. This artbook is a good companion to the game but I wished there were even more content. If you have other Marvel movie artbooks, you can expect the same level of quality here in terms of look and feel. This is a huge 192-page hardcover book published by Titan Books that's packed with lots of artworks and commentary. More specifically, there are a lot of character designs. You'll get to see Spider-man with his various really cool looking costumes, Aunt May, Otto Octavius, Rhino, Vulture, Scorpion and the other supporting characters. The high resolution renders of various Spider-man suits looks terrific. I'm sure they will thrill all Spider-man fans. 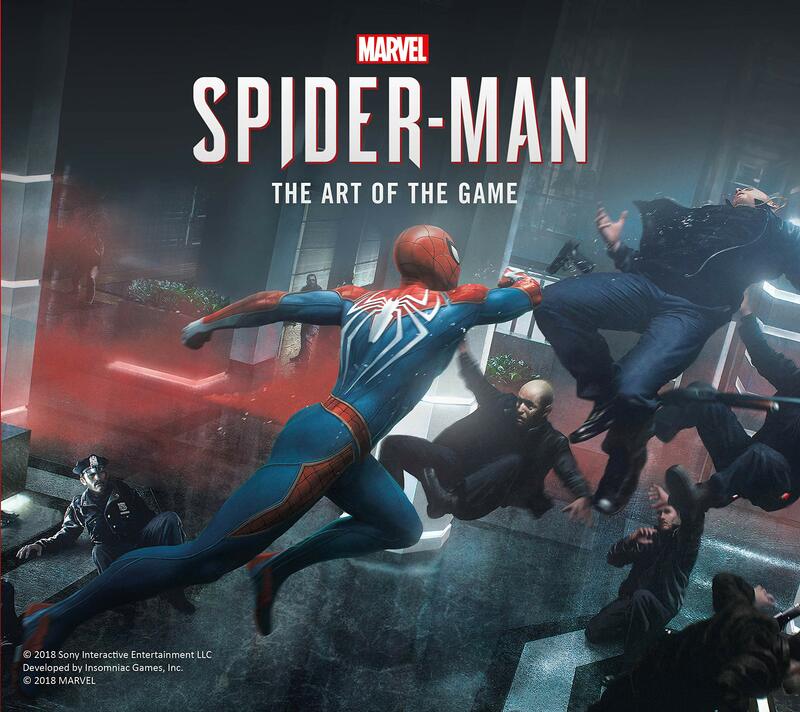 Other artworks included are of scene and background paintings, prop designs, weapons, interiors of Norman Osborn's Penthouse, Oscorp Industries and the high-tech labs, What's missing, and what I was really hoping to see is actually more art of the New York Manhattan's cityscape. You get some redesigns for the Avenger's tower, glimpse of Manhattan from the streets and that's all. Spider-man spends a lot of time swinging through the skyscrapers, the gorgeous modern glass concrete jungle and there aren't any artworks that show off those environments. You could probably just print-screen some scenes and included them and this artbook would feel complete. The other thing is most of the artworks in this book look rather polished. There are a lot of high resolution renders and even the scene paintings look like stills from the game. That's why I said you can expect the same look and feel from other Marvel movie artbooks. Overall, it's a wonderful companion to the game. The art is good and I love reading the commentary. Just wished there were even more art and commentary. The book can be found at Kinokuniya and Basheer Graphic Books. The book can also be found at Kinokuniya and Basheer Graphic Books.